This fun and positive guided journal for tweens ages 8-12 is designed to build confidence, self-esteem, and creative writing skills in young girls. 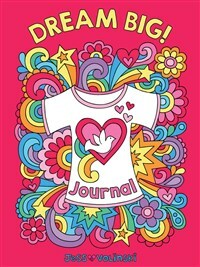 Fabulous Fashion Guided Journal features inspirational prompts and whimsical art from bestselling “Notebook Doodles” coloring book artist Jess Volinski. An experienced book illustrator and designer, Jess Volinski currently creates illustrations and surface designs for the publishing, fashion, tableware, and stationery industries. Her characteristically vibrant designs are ideal for coloring books. Jess is married to Erik DePrince, the artist behind Design Originals's Manga to the Max coloring book series. Jess and Erik live in New Jersey and are the parents of two pre-teen children.